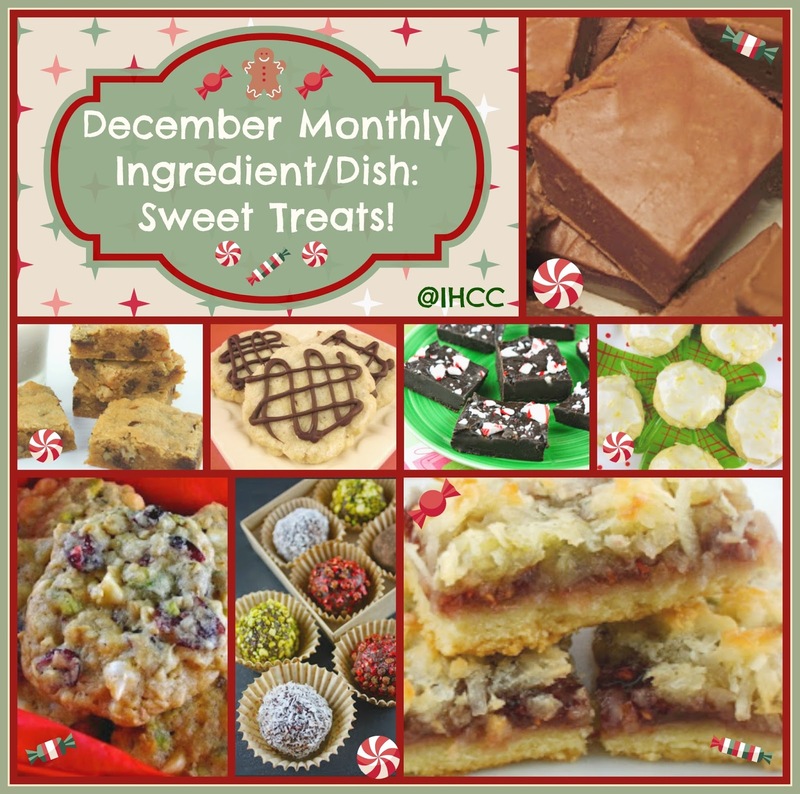 Members can choose any one of these recipes to bake. My choice is Gingerbread. This is a simple and easy bake. I've made half a recipe, bake in a 8-1/2x4-1/2 inch loaf pan. The only changes I made was to use Lyle's Golden Syrup instead of dark corn syrup, and brown sugar instead of superfine sugar, as indicated in the recipe. From the photo in the book, the cake is beautifully decorated with a lace pattern using royal icing. Of course, the frosting can be spread over the cake instead, but I've decided to omit the frosting. The gingerbread turns out moist, soft and tender, though the colour is not as dark as other gingerbread. And the taste of the ginger is rather mild. I was thinking that some chopped crystallized ginger mixed into the batter would be nice. Overall this is a nice moist, soft cake. Great with a cup of warm tea. 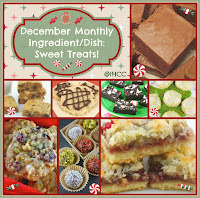 This week at I Heart Cooking Clubs (IHCC), it is December's Monthly Featured Dish/Ingredient Challenge : Sweet Treats!. I've made Ellie Krieger's sweet treat, Cranberry-Almond-Chocolate Clusters. Easy, simple and delightful. These chocolaty nutty sweet treat needs no baking at all. Simply toast the almonds and coarsely chop. Place in a bowl and mix with dried cranberries. Ellie's recipe uses dried cherries, but they are not available and even if I can find them, they are very costly. Dark chocolate is then melted, then mix the almond-cranberry into the melted chocolate, mix till well combine. Scoop heaping tablespoonfuls of the chocolaty mixture and place on baking sheet lined with parchment paper. Refrigerate for about 20 minutes until set. These are delightful to eat! Place each cluster on cupcake liners, would make a pretty plate on your dessert or snack table for the festive season. If I were to serve to guests, I would make them a little smaller, maybe a heaping teaspoon instead. These little sweet treats are a definite repeat! In a medium bowl, toss together the almonds and cherries. Line a baking sheet with wax paper. Melt half of the chocolate in the top of a double boiler over slightly simmering water, over the lowest possible heat, stirring frequently, make sure the water is not touching the top pan. Remove the double boiler from the heat, and stir in the rest of the chocolate until melted. Remove the top pan with the chocolate in it, gently wipe the bottom of it, and set it aside for a moment. Replace the simmering water in the bottom pan with warm tap water. Put the pan of melted chocolate on top of the warm water. This will keep the chocolate at the right temperature while you make the clusters. (My note : I melted the chocolate in the microwave oven, and skip the step on placing the bowl of melted chocolate over a pan of warm water). Stir in the fruit/nut mixture into the chocolate. Spoon out heaping tablepsoon-size clusters of the chocolate mixture onto the baking sheet about 1 inch apart. Put them in the refrigerator to cool and set for about 20 minutes. Store and serve at room temperature. Cook The Book Fridays, a group of lovely foodie bloggers are cooking their way through David Lebovitz's cookbook, My Paris Kitchen. The selected recipe for this week is Onion Tart (Pissaladiere). I've only made Pissaladiere once before. And remember that my kids were asking where is the cheese! My kids' idea that as long as it is some kind of pizza, or looks like it, it must have their favourite ingredient, Mozzarella cheese, and lots of it, the more the better! So this time, when I make David Lebovitz's Pissaladiere, I reminded them that I am making Pissaladiere, and traditionally it is made with NO cheese! The caramelized onions took about 50 minutes to cook till dark golden brown. A few whole sprigs of thyme are cooked together with the onions. Remove the thyme sprigs before assembling the pissaladiere. I've made only two thirds of the recipe, to fit the size of the baking sheet I had. The dough was easy to handle. Pull and spread the dough to fill the base of the baking sheet. Spread the caramelized onions on the dough and arrange some olives and anchovies on the onions. The pissaladiere is baked for about 20 minutes, though I baked mine for 25 minutes, until the crust is lightly browned. Delicious especially when eaten warm. According to David, Pissaladiere should be crisp and very thin, not thick and bready. This is thin and crisp, and very delicious! Especially good eaten while still warm. My favourite part are the sides where you get to bite into the crispy edges and the crispy bottom of the crust. The caramelized onions are delicious and sweet, match perfectly with the salty anchovies. This is a delicious onion tart. I love the crust, it would make a fabulous pizza base, and would be great with other pizza toppings, and of course, with lots of cheese too! Stop by Cook the Book Fridays to see what everyone thought about this Onion Tart. This month at Tuesdays With Dorie (TWD) : Baking Chez Moi, the selected recipes are Spiced Honey Cake and Chocolate Truffles. I've made Spiced Honey Cake for this week. This cake is made with honey and a spice infusion. To make the spice infusion, in a small saucepan, add a fat strip of orange zest, water, lavender, Sichuan peppercorns and ginger. Bring to a boil, remove from heat, keep covered and leave to infuse for at least 1 hour. Strain the spiced water and discard the solids before use. I have replaced the dried cherries with dried cranberries, as dried cherries are not easy to find and they are very costly. Also I have reduced the sugar slightly. The batter for the cake is very thick. This cake is baked at a low temperature of 300F for 75 minutes. The cake will need a rest after it cools, a day or two (or three or four) days later. I doubled wrapped the cake with plastic and only slice into it on the third day. Cake has a dense close crumbs, not exactly dry but not moist as most cakes are. I can taste the light sweetness of the honey, the orange and a hint of the spices and the lavender. I was surprised to find that the taste of the spices is not strong at all. But it's there, with a light mild taste to it. The sliced almonds makes a nice topping. This cake is quite tasty, but we are not used to eating dense, not so moist cakes like this, which is like eating a bread, yet not quite a bread! Somewhere in between a cake and a bread. Though I did enjoy a few slices with a mug of warm tea, it is quite nice actually, but the family does not like it. I enjoy the taste, but not so much on the texture of the cake. I have been eating it alone, and have toasted a few slices for my morning breakfast. Looks like I would not be making this cake again. Drop by TWD to see what the other bakers thought of this bake. A simple potato dish, yet quite tasty, and especially good, as a side dish to eat with rice along with some meat dishes and vegetables, perhaps a bowl of soup. This dish is called gamja jorim in Korean and it is from the cookbook which I have used at Cookbook Countdown #11, last month. According to the author, this dish can be spicy if you use Korean chiles or jalapenos with a lot of heat, and for milder heat, use red or green bell pepper. I have used jalapenos for this dish. This recipe uses 2 tablespoons of sugar, but I do not like sweet dishes, so I have used only 1/2 teaspoon. The family enjoys this dish very much. It is very tasty and one that I would cook again. Heat the vegetable oil in a large skillet over medium heat. Add the sesame oil, sugar, soy sauce, garlic, water, and pepper and reduce the heat to low. Cover and simmer for 3 to 4 minutes. Add the chiles and cook for 2 to 3 more minutes, until the potatoes are cooked through. To serve, add the sesame seeds and toss to mix (if using). 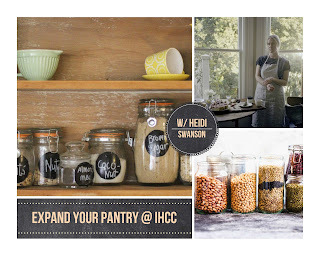 This week at I Heart Cooking Clubs (IHCC), it is "Expand Your Pantry!" theme. I've made Heidi Swanson's, Millet Muffins. Millet is a new ingredient in my kitchen, I have never cooked with it before, so I thought that using it in a muffin recipe would be a good start. I've made half a recipe and yield only 5 muffins. I've used all-purpose flour instead of pastry flour. There's no sugar used in these muffins, sweetened by honey instead. There's lemon zest, lemon juice, yoghurt and barely melted butter. These Millet Muffins bakes up really nice with wonderful rise and golden top. Lovely muffins. The crumbs are tender and soft. Not too sweet, with just the right sweetness from the honey, and crunch from the millet with a hint of the citrusy lemon. These are great with a cup of warm unsweetened tea. Preheat the oven to 400F/2015C with a rack in the top third of the oven. Butter a standard 12-cup muffin pan or line with paper liners. Whisk together the flour, millet, baking powder, baking soda and salt in a large bowl. In another bowl, whisk together the yoghurt, eggs, butter, honey, and lemon zest and juice until smooth. Add the wet ingredients to the dry ingredients and stir until the flour is just incorporated. Divide the batter among the muffin cups, spooning a heaping 1/4 cup batter into each one, filling it a bit below the rim. Bake for about 15 minutes, until the muffin tops are browned and just barely beginning to crack. Let cool for 5 minutes in the pan, then turn the muffins out of the pan to cool completely on the rack. I've made Pfefferneusse, a cookie which I cannot even pronounce its name. This recipe is from Dorie Greenspan's latest baking book "Dorie's Cookies". Tuesdays With Dorie (TWD) is currently baking from two books of Dorie's, every Tuesday of the week. According to Dorie, Pfefferneusse, (the name is German for "peppernut"), are made with chopped nuts, lots of spice and citrus. And there are lots of different spices used in these cookies ; ground cinnamon, ground black pepper, grated nutmeg, ground cardamom, dry mustard, orange zest and pecans. The recipe yields 38 cookies for me, close enough to 40 as indicated in the recipe. As mentioned in the book, these cookies can be kept for weeks as they are dry and firm by nature. Either glazed the top with melted chocolate mixed with espresso powder, or just a dusting of confectioners' sugar. I glazed most of the cookies with the chocolate glaze and about a dozen with the confectioners' sugar. I have mixed feelings over these cookies. As you bite into them, you would first notice the dry texture, (though not overly dry! ), the crumbly crumbs and the taste of the spices all blended into one, though the spices are surprisingly mild. At the end of it, when you have finished the whole piece, there's the taste of black pepper lingering in the mouth. These cookies are rather different and new to me, I have not made cookies with so many different spices combined together. When I first bite into these cookies, I thought that it was just OK, but I find it sort of grow on you. They tasted nicer when I ate the second and the third piece. While the ones with the chocolate glaze is nice, I prefer the ones with the confectioners' sugar, goes really well with these spiced cookies. "Sugar and Spice and Everything Nice"! Stop by TWD to see what everyone is baking this week. If you have some apples begging to be used, use them to make this Apple Pie Bread. You would be glad you did, this is one delicious quick bread. This wonderful recipe is from Better Homes and Garden : Baking, a lovely cookbook with more than 350 recipes of delicious baking treats, with photos for each recipe. This was the cookbook I've used at Cookbook Countdown #2 back in February, and sharing it again this month for Cookbook Countdown #12. For this month of December, we are using those books again, the ones that we have shared before at Cookbook Countdown from January to November. I've used Fuji apples, which are shredded, and there was a lot of juice, so I've squeezed the shredded apples gently, just to extract out most of the juice. Don't discard the juice, drink it, it's sweet and yummy, and good for you! I have omitted the walnuts in the batter, using it only for the streusel topping. As usual, I have reduced the sugar, by half. For the raisins, I have used a 1/4 cup more. Very easy quick bread to make. Once the batter is done, sprinkle the streusel topping evenly over the top and bake as instructed. For the streusel topping, I've added half a teaspoon of ground cinnamon, after all apple pie always has ground cinnamon! Though the recipe indicated that the bread be double wrapped and left overnight before slicing, I did not wait that long. Sliced the cake after a few hours of cooling. This quick bread is very moist and flavourful, with soft, tender crumbs. See the shredded apples throughout the slice. And I love the bite of the raisins in each slice. I did not miss the walnuts in the bread as there's walnuts in the streusel topping, which is "cinnamon-y" fragrant. This Apple Pie Bread is delicious, makes a perfect breakfast treat with a cup of hot coffee, or, perfect with in the afternoon with a cup of warm tea. Preheat oven to 350F. Grease the bottom and 1/2 inch up the sides of an 9x5x3-inch loaf pan; set pan aside. In a large mixing bowl beat butter with an electric mixer on medium to high speed for 30 seconds. Beat in sugar until combined. Add buttermilk and baking powder; beat until combined. Add eggs and vanilla; beat until combined. Add flour and salt; beat until combined. Stir in apples, nuts, and raisins. Spoon batter into the prepared pan, spreading evenly. Sprinkle Streusel-Nut Topping over batter. Bake for 60 to 65 minutes or until a wooden toothpick inserted near the centre comes out clean. Cool in pan on a wire rack for 10 minutes. Remove bread from pan. Cool completely on wire rack. Wrap and store overnight before slicing. In a small bowl, stir together 1/4 cup packed brown sugar and 3 tablespoons all-purpose flour. Cut in 3 tablespoons butter until mixture resembles coarse crumbs. Stir in 1/3 cup chopped walnuts or pecans. (I've added 1/2 teaspoon cinnamon powder). Grab a cookbook and join us! 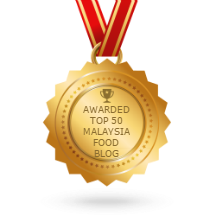 Cookbook Countdown is a monthly cooking/baking event, which I'm co-hosting with Emily's Cooking (Makan2) Foray. Everyone is welcome to join us. How does it work? 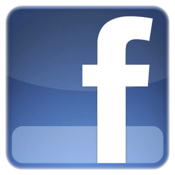 To summarize, you may select a cookbook from your own cookbook collection, to cook or bake from each month. That selected book shall be your cookbook of the month. You may cook any recipes and as many recipes as you want from your selected book of the month. This is a fabulous way of using your cookbooks at least once! For more information on how to join Cookbook Countdown, please click here. Cook The Book Fridays, a group of lovely foodie bloggers are cooking their way through David Lebovitz's cookbook, My Paris Kitchen. The selected recipe for this week is Grated Carrot Salad. According to David Lebovitz, Grated Carrot Salad is so commonplace in France, that you'll hardly find it mentioned in any of the books on traditional French cuisine. Everyone has their own version of making this salad. I have never grated carrots for salads before. What I would usually do is to slice them either thinly in rounds or half-moons, or sometimes julienned them to matchsticks, but never grated, for a salad. One of the things that I dislike doing while preparing veggies for a dish, is grating root veggies! I do grate carrots when making carrot cakes, which I enjoy eating, but dislike grating the carrots. I prefer chopping my veggies over grating, as chopping can be a rather enjoyable task, rather therapeutic at times. Because this is a Grated Carrot Salad, I dutifully grate my carrots. The grated carrots and some fresh chopped cilantro greens from my garden pot. The dressing is a mixture of Dijon mustard, honey, olive oil, lemon juice and salt, whisk to combine. Toss the carrots and fresh herbs with the dressing and serve. Quite a nice salad. The sweetness of the carrots balances well with the lemony-mustard sweet dressing. My son likes this. Makes a nice side dish. I served it alongside some baked chicken breast with fresh crisp celery sticks. Stop by Cook the Book Fridays to see what everyone thought about this salad.